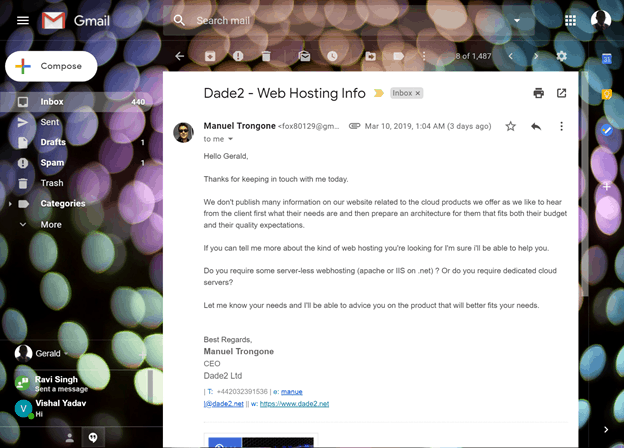 Dade2 Review 2019: Is Dade2 a Good Hosting? Dade2 has been in business for years, striving to be a technological web hosting partner to medium and large sized vendors, and helping to solve their technical issues. Dade2 is comprised of very skilled, qualified, and experienced experts who provide medium to large sized business with cloud-based hosting solutions. 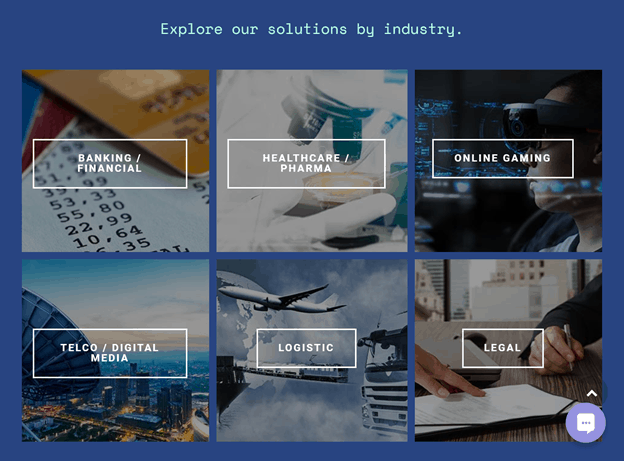 The portfolio is impressive and broadly captures a variety of companies ranging from financial service vendors to software companies. Dade2 has a strong European presence with offices located in London, U.K. and Naples, Italy. Additionally, it has a physical presence in the U.S. and India, and the website can be easily accessed in English. Dade2 offers companies who already know what they want cloud-based industry-specific web hosting services. These include IT infrastructure and consulting, cloud services, cloud service brokerage, CTO as a service, and security compliance and GDPR solutions to a huge customer base from anywhere in the world. Dade2 doesn’t offer the traditional, simple shared web hosting with easy to use control panels, drag-and-drop website builders, and one-click app installer. However, its cloud-based platforms are structured to guarantee you with 99.9% uptime which is also backed by an SLA. The data center has been strategically situated (in Reykjavik, Iceland) midway between the U.S. and Europe, so as to help minimize customer bandwidth consumption and network latency. Characteristically, this is a certified and private tier three facility that exclusively depends on 100% renewable energy. To begin with, Dade2 doesn’t publish a lot of information on its cloud-based products but rather prefers hearing from you first. This enables them to develop customized packages that will best fit your needs and budget. Basically, if you are used to the ordinary shared web hosting packages, you will be surprised at the higher priced packages that you will get here. Sadly, this vendor doesn’t provide a free trial package for its services or a money-back guarantee. Therefore, there is no way for you to test the services out before any making serious commitments. However, it does seem to uphold close to 100% customer satisfaction rates with very positive reviews online. Dade2 has a fairly detailed knowledge base which only contains few items but on pre-sales only. As far as billing is concerned, you can pay for the packages via PayPal secure payment gateway, bank wire transfers, and PayPal direct transfers. Dade2 advertises 24/7/365 availability with a strict policy on customer satisfaction that emphasizes less than a 30-minute response time. The available support channels include phone, email, and live chat. 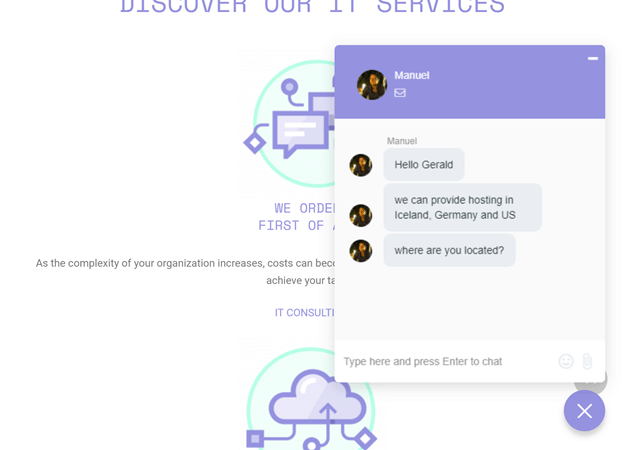 I was eager to know if they offered ordinary shared hosting on the side and asked this through live chat as a way of testing the resolution time. I was happy to be attended to by an actual representative who gave me personalized responses and even continued to provide further assistance and information via email. Dade2 is a perfect technology web hosting partner for medium to large-sized companies that need cloud-based and industry-specific solutions with great uptime guarantees. It doesn’t provide ordinary shared web hosting services. Wondering how Dade2 stacks up against other Web Hosting companies? Enter any other Web Hosting company and we will give you a side-by-side comparison.